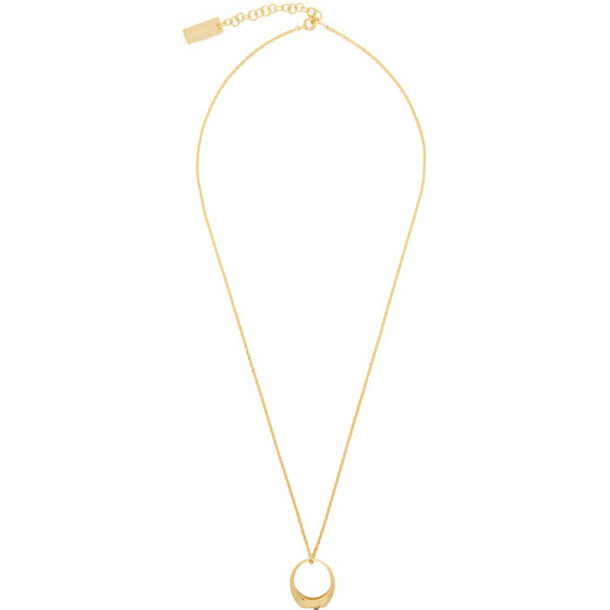 Chain-link necklace in gold-tone. Signet ring-style pendant featuring silver-tone logo plaque at drop. Logo plaque at adjustable spring-ring fastening. Approx. 26.75" length.